It appears that referring to non Muslims who enter Islam as being “reverts” as opposed to “converts” is terminology unique to English speaking Muslims from the West. 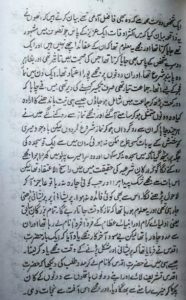 The argument put forward by “revert” supporters is the hadith which states that all humans are born on Fitrah which is Islam and thereafter change their belief due to their respective upbringing. According to Shaykh Abd al-Fattah al-Yafi there are some Muslim scholars who hold this view. The strongest view is that the meaning is that every child is born with the natural disposition towards Islam. The meaning of the hadith is that every child is born with a type of natural disposition which is the Fitrah of Allah Most High and that it inclines towards the acceptance of truth both naturally and in obedience. Other scholars who supported this understanding are: Ibn Abd al-Barr, Ibn Atiyyah, al-Qurtubi, Ibn Qutaybah, Abu Shamah, al-Ayni and others, and Allah Taala knows best. Source: Mawahib Karim al-Fattah of Shaykh Abd al-Fattah al-Yafi 1/531 onwards. Please find below a supplicatory prayer I wrote a short time back based primarily (but not wholly) on a well known poem of Imam al-Haddad (see image above). 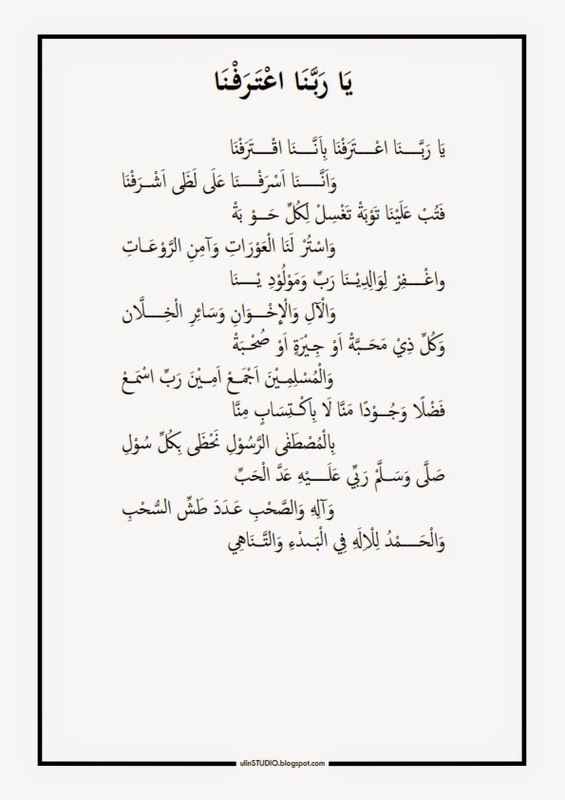 Recitors will find that they should be able to sing this according to the tune of the Arabic version. I came across the following short extract when looking for material regarding a description of wrestling at the time of the Prophet (Allah bless him and give him peace) 1500 years ago. 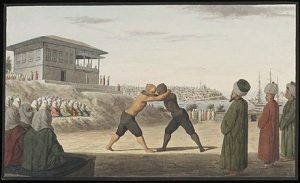 It seems clear – to me at least – that the wrestling referred to in Muslim sources is closer in spirit to the stand up (Tachi-Waza) throwing techniques of Judo than the ground grappling focus of BJJ. The Prophet (Allah bless him and give him peace) said, ‘I am ready,’ at which point the Messenger of Allah (Allah bless him and give him peace) drew closer to Rukanah and threw him down. This was narrated by Abu Nuaym and al-Bayhaqi from Abu Umamah from two routes of transmission, one Marfu and the other Mursal. The Rukanah who has been mentioned here is Ibn Abd Yazid bin Hisham bin al-Muttalib bin Abd Manaf, al-Qurashi, a Meccan companion who entered in to Islam in the year of the Meccan conquest. He died in Medina during the caliphate of Muawiyah in the year 42. 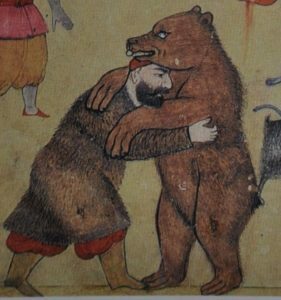 Rukanah was fearsome, well built, strong and well known for his wrestling skills, such that no one had ever defeated him in wrestling nor had his skin ever touched the ground in defeat. It is authentically reported that the Prophet (Allah bless him and give him peace) wrestled him and defeated him, as was stated by al-Khafaji in al-Nasim. Note: I have been informed that the short treatise of Imam al-Suyuti referenced above has been translated and will inshAllah be published soon. Some brief comments from Saleh Malik in defence of the Kuwaiti scholar: Shaykh Fahd al-Kandari regarding the blessed parents of the Prophet (Allah bless him and give him peace) and an explanation of some lines of the Burda. The following is a quick rough translation of a recent beneficial post by Shaykh Abd al-Wahid al-Azhari, a young Hanbali scholar based in Qatar. In this he talks briefly about his experiences in the Salafi movement and the issue of love of the Prophet (Allah bless him and give him peace). O Lord, grant us death in the land of your Messenger (Allah bless him and give him peace), in a manner which You are pleased with, and grant us burial there! I have pointed out in the past, even when I was counted as being a part of the Salafi movement (and records are a witness to this) that some of the viewpoints of the Wahabis relating to the understanding of love of the Prophet (Allah bless him and give him peace) and the issues of difference between them and the majority of the Ummah: the jurists and others – and I do not say it is only the sufis – such as tawassul, tabarruk, travelling to visit the Prophet etc, contain an element of animosity and injustice… which is not hidden to intelligent folk. However I say: the manifestation of animosity, coarse disrespect and aversion are apparent in many of them which cannot be missed by the observant person. This is a reaction of theirs as to what they perceive of exaggeration of their opponents in loving the Prophet (Allah bless him and give him peace), praise of him, and attachment to him…the examples of this are many and evident. It is sufficient as evidence that you will not find them (the Salafis) holding gatherings of praise for the Prophet (Allah bless him and give him peace) not gathering together to recite his sirah or salawat upon him, and even it does occur then it is little and cannot be compared to those that they accuse of going to extremes! You will not find in their literary output anything which comes close to the Burdah or that which is similar to it, even if it is free of that which they criticise, except for some recent efforts by them, but that is a separate topic of discussion. It is sufficient for you to present to them the statements of the Imams…regarding the excellence of the blessed resting place of the Prophet and it being superior to the Kabah, or some of that which is recorded regarding their spiritual states in Medina such as that which is reported from Imam Malik and what is mentioned by Qadi Iyad in al-Shifa, and then look at their behaviour in such places and attitude. They proclaim assertively that the meaning of love is following the Prophet! This is an understanding which there is no difference of opinion over, rather the discussion is about a matter at a higher level which only a deprived person is ignorant of. 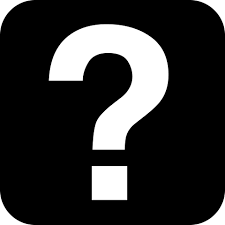 I will here mention a story of one of the prominent students of knowledge from my friends, a pleasant Salafi, advanced in knowledge with some beneficial published works. He resided in a city close to Medina al-Nabawiyyah – I will not name it so he is not identified – he was living there for a number of years. He said to me after the passing of several years: I have not visited Medina since I have come here, not even once! I was greatly shocked at his statement, for I know those who would expend their wealth and health just to visit it once, rather they are prepared to choose visiting Medina over their continuing to live if they had a choice. I asked him – out of disbelief almost – Why? The above statement is a financial calculation (if it can be described as such) which a lover (of the Prophet) would not utter. Neither would someone who understands the statements of the fuqaha truthfully or has examined the states of the truthful lovers (of the Prophet). This statement can only be uttered by an uncouth idiot who does not understand and is unaware, or a materialistic fool who is devoid of affection. This statement should not be stated by a pious man who I know well is righteous and desirous of doing good. It is however the distorted understanding and comprehension that these people inherit, and this person is a senior figure amongst them. Were it that this person had looked at the longing of visiting the Prophet (Allah bless him and give him peace), attachment to the places which his blessed foot touched, the resting place wherein resides his noble body along witth longing to see those famous places and other necessary results of truthful love – and that this is more beloved to Allah than many righteous bodily acts – he would not have made this statement nor would have thought in this diseased way. Were it that he had he looked at the strengthening of faith and serenity which occurs for a visitor to Medina. However this is a veil of coarsness and animosity which a person does not realise he is afflicted by, rather they are deceived by the shaitan that they are intelligent and possess understanding, and help is sought from Allah. This post is for the purpose of sincere advice and evaluation, not to shame or defame, and Allah is the guider to the straight path. And from the Salaf’s character traits – Allah the Exalted be pleased with them – was their regularly asking about the condition of their friends, this was in order to be able to assist them regarding their needs such as food, clothing, money, paying of debts…and the possessors of this character trait in this age are rare. People in this time practice the opposite of this, a person may say to his friend, “how are you?” To which his friend will respond, “I am fine” but in fact hiding his true state of affairs because of his knowing of the emptiness of heart of his friend…rather many a time a person will pass by his brother and say, “How are you” but not wait for an answer, thus the one asking does not wait for an answer nor does the person being asked trouble himself to utter a response. It was due to this that Sayyidi Ali al-Khawwas – Allah the Exalted have mercy on him – would say: If you do not have a firm resolve to help your brother or share in his worries or supplicate for him – then do not ask him “How are you” for this will become a case of hypocrisy. Hatim al-Asam – Allah the Exalted have mercy on him – said: if you say to your friend: How are you this morning? and he replies: “I am in need of a particular thing”, however you do not deal with it seriously and do not fulfil his need, then your saying “How are you this morning” is a mockery of him, and this is predominant amongst the folk of this age.